LUMPKIN COUNTY, Ga. – Several hundred members of the Rainbow Family Gathering, (known as Rainbows) have started to arrive in the Nimblewill area of the Chattahoochee National Forest just north of Dahlonega and thousands more are expected before the gathering ends July 5. The Family, which holds its “Gatherings” annually in a different national forest, claims its purpose is “to bring about world peace, love and healing.” But law enforcement agencies say drug overdoses, thefts and violence are more accompany the event. The Family, which is described as a loosely-organized group of hippies, nudists and nomads, grew out of the anti-war, counter-culture movement of the 1960s and ‘70s. In 2014 during a Gathering in the Wasatch Mountain Range in Utah, a man was stabbed and a woman was found dead. 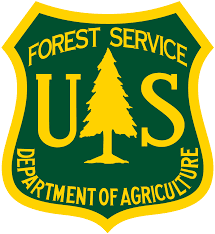 Steven Bekkerus, U.S Forest Service Public Affairs Officer for the Chattahoochee-Oconee National Forest, said he is familiar with the Family and that his rangers are prepared to enforce the law. “It’s all about making sure everybody follows the laws and rules and regulations,” he said Monday morning. Bekkerus added that expects the Gathering to grow to 5,000 or 10,000 before the event ends. History shows a small segment of Family members have also caused significant negative impact on nearby communities.